ServiceMaster DAK offers complete packout, content storage and move-back services after your home or business suffers from a disaster. When necessary, it’s vital that property from a private residence, business, office, or industrial facility be removed quickly to prevent further damage. Our professionals are trained to handle your possessions with care from the initial on-site assessment through packing, transporting, content storage and safe return. 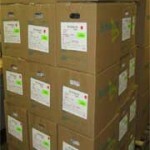 To better serve your needs, we use Pack-Out Inventory system (MSM) to streamline pack-out and move-back jobs. MSM is a computer software program designed to assess, inventory and track contents packed out for cleaning and storage. One of the key features of MSM is the use of bar codes to inventory and track items. Contents earmarked for pack-out are tagged with a bar code including the insured’s name and location. When each item is scanned, the bar code, a brief description and digital photograph are entered into a computer program. Once entered, contents can be easily tracked from the moment they are assessed through pack-out, cleaning, storing and move-back. Our pack-out crews are specially trained to handle your possessions with care. Prior to packing, we take photos of each room to document the items and correct placement to ensure that all contents are returned to their original locations. We use standard packing materials and boxes for safe transportation and content storage ranging from small keepsakes to clothing and household goods. All boxes are inventoried and labeled by room and brief description of what they contain. 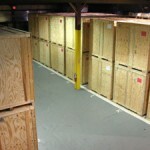 Once boxed and labeled, the contents are transported to a secure warehouse for storage. If necessary, as in the case of smoke damage, we can clean and repack the items so they are ready to be used once returned to you. Ensuring the safe-keeping of your possessions while in our care is a top priority. Whether you require a few weeks or several months of storage, we are ready to meet your needs and time frame.